Next Pre-Jam Party is Sat Apr. 13th at The Sidetrack. 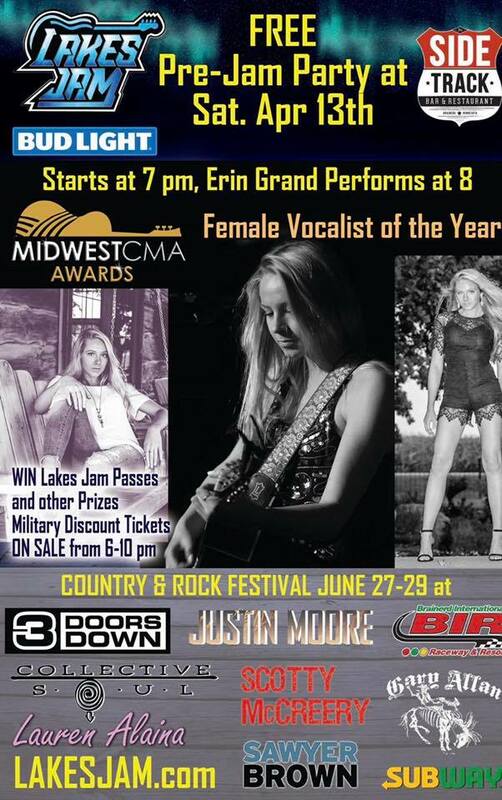 Listen to the beautiful voice of Erin Grand – Midwest CMA’s Female Vocalist of the Year! Party Starts at 7pm, Music at 8pm! Look for some cool prizes to be given away including Lakes Jam Passes. Military Discount Passes will be available on-site as well!